A deal with Castro, for a post-Castro future: Reuter’s. Our blog: here is some good news about what must surely be one of the more dysfunctional US foreign policies, showing some signs of coming sanity. MEXICO CITY — Critics of President Obama’s move to normalize relations with Cuba insist it will deliver big rewards to the island’s military-led government, which controls as much as 80 percent of the economy.They are almost certainly correct. MEXICO CITY — Critics of President Obama’s move to normalize relations with Cuba insist it will deliver big rewards to the island’s military-led government, which controls as much as 80 percent of the economy. They are almost certainly correct. The bigger question, though, is whether Obama’s initiatives can position the United States to more effectively influence events in Cuba on the day the country is no longer run by someone named Castro. If the overarching goal of the old U.S. policy was to precipitate a collapse of the Communist government, Obama’s new approach reflects a conclusion that such instability is no longer in the best interests of the United States. With the announcement last week, Washington acknowledges that, like Havana, it wants a managed, orderly transition to a post-Castro future. What that future will look like is the game going forward. Raúl Castro, 83, has repeatedly said he will step down from the presidency in 2018. There has been speculation that he might leave early, while he’s still in relatively good health. Among his possible successors are Vice President Miguel Díaz-Canel, 54. In an address to Cuba’s parliament Saturday, Castro set April 2016 as the date for a new Communist Party Congress — an event that has served in the past as the occasion for reform announcements and leadership changes. The last one, in 2011, was the first of its kind in 14 years. In the audience was 21-year-old engineering student Elián González, who as a child survived the wreck of a boat headed to the United States and became the object of a drawn-out custody battle that eventually saw him return to Cuba. There, too, were the long-imprisoned, lionized intelligence agents known as the “Cuban 5,” the last three of whom were freed in the deal with Obama. Fidel Castro, 88 and ailing, was not there. 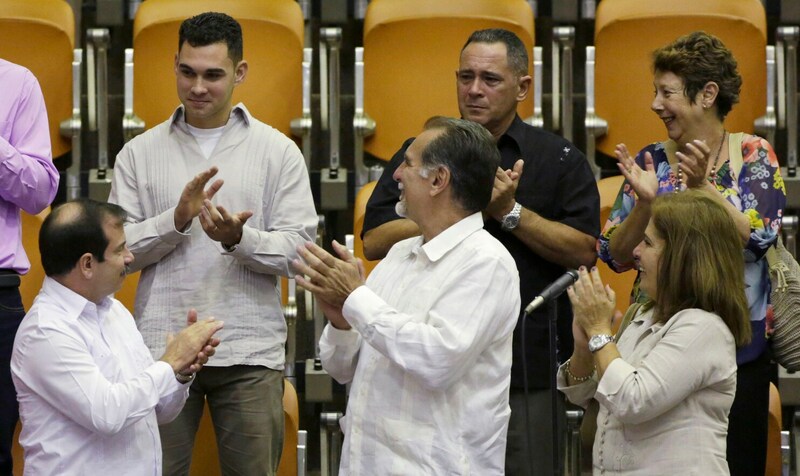 In his speech, Raúl Castro reiterated a willingness to talk about a broad range of issues with Washington but said that Cuba’s one-party state and its socialist principles were not up for discussion. 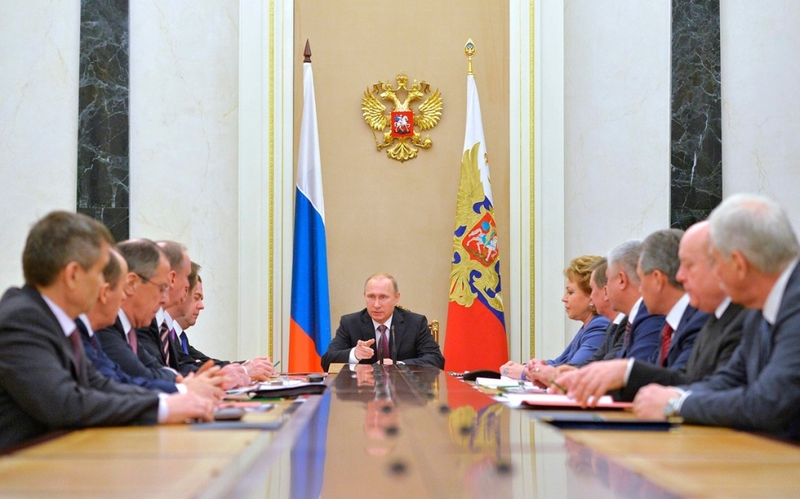 Russia identifies NATO as its biggest military threat: (from al Jazeera /America). Russia identified NATO as the nation’s No. 1 military threat and raised the possibility of a broader use of precision conventional weapons to deter foreign aggression under a new military doctrine signed by President Vladimir Putin on Friday. NATO flatly denied it was a threat to Russia and accused Russia of undermining European security. The new doctrine, which comes amid tensions over Ukraine, reflects the Kremlin’s readiness to take a stronger posture in response to what it sees as the U.S.-led efforts to isolate and weaken Russia. It says Russia could use nuclear weapons in retaliation for the use of nuclear or other weapons of mass destruction against the country or its allies, and also in the case of aggression involving conventional weapons that “threatens the very existence” of the Russian state. For the first time, the new doctrine says Russia could use precision weapons “as part of strategic deterrent measures,” without spelling out when and how Moscow could resort to them. Among other provisions, the paper mentions the need to protect Russia’s interests in the Arctic, where the global competition for oil and other natural resources has been heating up as the Arctic ice melts. Russia has relied heavily on its nuclear deterrent and lagged far behind the U.S. and its NATO allies in the development of precision conventional weapons. However, it has recently sped up its military modernization, buying large numbers of new weapons and boosting military drills. NATO has said that a sharp rise in the number of Russian air patrols over the Baltics has put civilian flights at risk. Earlier this month, Russia flexed its muscle by airlifting state-of-the art Iskander missiles to its westernmost point, Kaliningrad, a Russian oblast that borders NATO members Poland and Lithuania. The missiles were pulled back to their home base after the drills, but the deployment clearly served as a demonstration of the military’s readiness to quickly raise the ante in case of crisis. Russia has threatened earlier that it could permanently station the Iskander missiles, which can hit targets up to about 300 miles away with high precision, in retaliation to U.S.-led NATO missile defense plans. On Friday, the military successfully test-fired the RS-24 Yars intercontinental ballistic missile from the Plesetsk launchpad in northwestern Russia. The 29-page doctrine is a stand-alone document outlining the top threats to Russia’s security and possible responses. The current edition is the third since Putin was first elected in 2000. The doctrine placed “a buildup of NATO military potential and its empowerment with global functions implemented in violation of international law, the expansion of NATO’s military infrastructure to the Russian borders” on top of military threats to Russia. Russia’s relations with the West have plummeted to their lowest point since the Cold War, and NATO cut off ties with Moscow after it annexed Ukraine’s Crimean Peninsula in March. Ukraine and the West also have accused Moscow of fueling a pro-Russia insurgency in eastern Ukraine with troops and weapons. The Kremlin has denied those accusations. Former Soviet President Mikhail Gorbachev, who had been critical of Putin in the past, but who has strongly backed the Kremlin over its spat with the West, said Friday that Russia’s actions were a response to U.S. and NATO moves. “I think the president is right to a large extent when he draws attention to a particular responsibility of the United States,” he said during a public event in Moscow. The U.S. and the European Union have slapped sanctions against Moscow, which have deepened Russia’s economic woes and contributed to a sharp devaluation of the ruble, which lost about half of its value this year. The economic crisis could challenge Russia’s ambitious weapons modernization program, but so far the Kremlin has shown no intention of scaling it back. The new doctrine mentioned the U.S. program as a major destabilizing factor along with NATO missile defense plans. Russian officials have said that Moscow was working on a response to the new U.S. weapons, but have released no details. FYI: What do You think? There’s an important health care deadline coming up — and we want to make sure everyone knows about it. Anyone who currently has coverage on the health care marketplace has until Monday, December 15th to take another look and see if they can find a better deal for them and their families for 2015. That’s also the deadline for anyone looking to sign up for coverage that kicks in on January 1st. Help make sure folks have all the information they need to get covered and stay covered with a plan that’s right for them — share this graphic about this important deadline today.